Keeping food fresh and safe is now a whole lot easier with the iCOOLer. 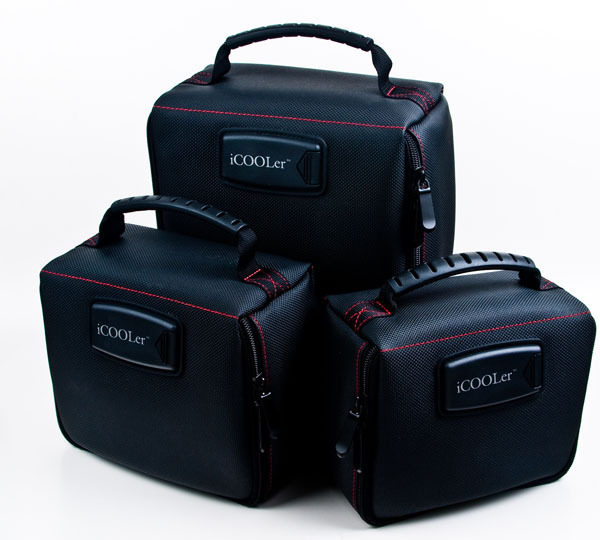 iCOOLer provide better way to keep food and beverage cool and fresh without the use of ice pack. iCOOLer products are made from highly durable and eco-friendly material that has an innovative cooling system; a patented design that has permanent non-toxic cooling gel-packs built into all six sides of the lining. The iCooler line of products is a must for reducing waste and promoting a healthy lifestyle. To use iCOOLer products, you can fold and place it in your freezer overnight, in the morning pack it with your favorite breakfast, lunch, snacks, or beverages. Your food and drinks will stay cool and fresh for hours without the mess or hassle of ice packs. Get delicious recipes, new products announcements and EXCLUSIVE DEALS when you sign up for our free e-newsletter!